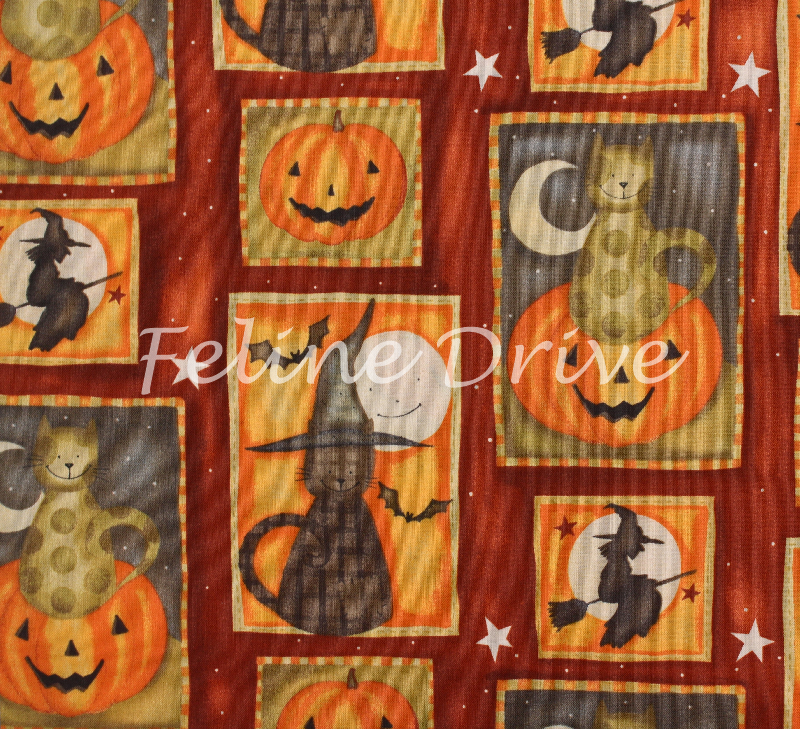 Halloween patches with witches, cats, pumpkins, and moons. Rust background. 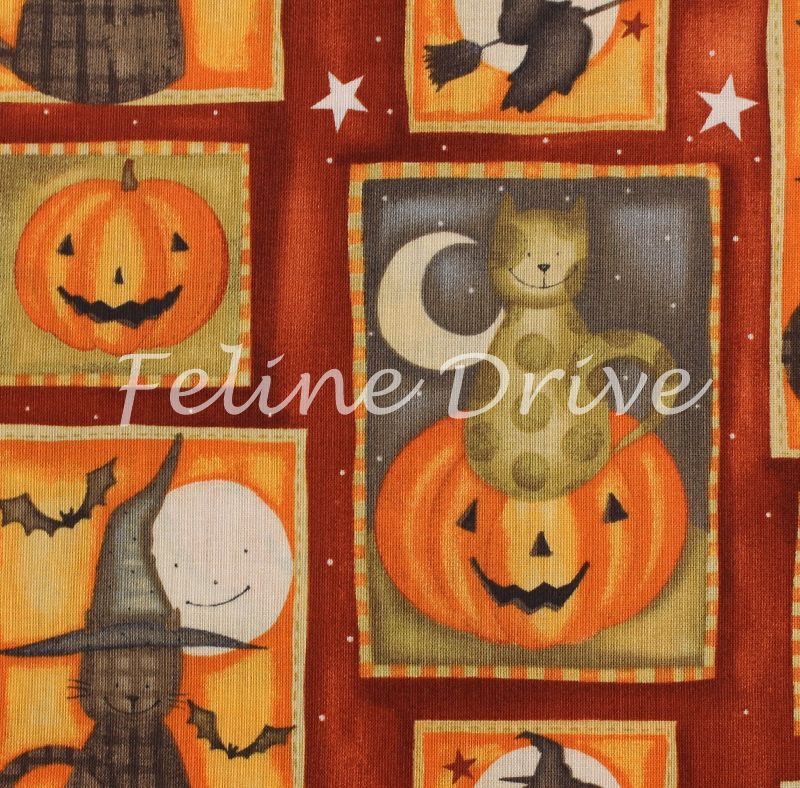 Print Size:Cat on pumpkin is approximately 3" tall.